Giancarlo Giuseppe Alessandro Esposito is a Danish-American actor and director best known for his portrayal of Gustavo “Gus” Fring on the AMC TV series Breaking Bad, for which he won the Best Supporting Actor in a Drama award and was nominated for an outstanding Supporting Actor in Drama Series award at the 2012 Primetime Emmy Awards. He is also well known for his roles in Spike Lee films: School Daze, Do the Right Thing, and Mo’ Better Blues. Esposito was born on April 26, 1958, in Copenhagen, Denmark, to an Italian father, Giovanni Esposito, and African-American mother, Elizabeth Foster. His mother was an opera and nightclub singer from Alabama; his father was a stagehand and carpenter from Naples, Italy. Esposito was raised in Europe until the age of six when his family relocated to Manhattan, New York. He attended Elizabeth Seton College in New York and received a two-year degree in radio and television communications. Esposito’s film career began in 1979 when he played a Puerto Rican teenager in the film Running. His other film credits include Trading Places (1983) and Maximum Overdrive (1986). He has appeared in over sixty films so far in his career. His breakout role came in 1988 when Esposito appeared in the Spike Lee film School Daze, when he played Julian “Dean Big Brother Almighty” Evans, the leader of the fictional black fraternity Gamma Phi Gamma. Esposito acted in other Spike Lee films, including Do the Right Thing (1989), Mo’ Better Blues (1990), and Malcolm X (1992). He also appeared in the films Night on Earth (1991), Fresh (1994), Waiting to Exhale (1995), and Nothing to Lose (1997). In 2001 he portrayed Muhammad Ali’s father Cassius Marcellus Clay Sr. in the film Ali, which starred Will Smith. In 2006 Esposito starred in Last Holiday as Senator Dillings alongside Queen Latifah. Esposito also made guest appearances in sixty TV shows since his debut as Jamie in the 1981 television movie The Gentleman Bandit. His TV credits include Sesame Street, The Guiding Light, Miami Vice, Spenser: For Hire, and The Equalizer in the 1980s. His television appearances increased in the 1990s and included Homicide: Life on the Street, Chicago Hope, NYPD Blue, Law & Order, The Practice, and New York Undercover. Esposito made his acting debut at the age of eight when he played a slave child in the 1966 Broadway play Maggie Flynn. His other New York theater credits include The Me Nobody Knows, Lost in the Stars, and Seesaw, but his biggest role came in 2008 when he appeared on Broadway as Gooper in Tennessee Williams’ Pulitzer prize-winning drama, Cat on a Hot Tin Roof, which was directed by Debbie Allen and starred James Earl Jones, Phylicia Rashad, Anika Noni Rose, and Terrence Howard. 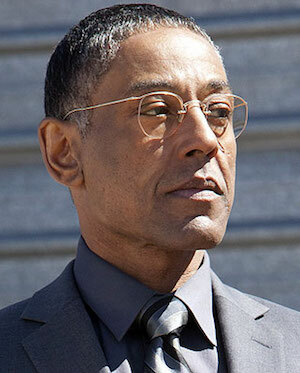 From 2009 to 2011, Esposito appeared in the AMC drama series Breaking Bad as Gus Fring, the head of an Albuquerque, New Mexico-based methamphetamine drug ring. For that recurring role, he won the 2012 Best Supporting Actor in Drama award at the Critics’ Choice Television Awards and was nominated for an Outstanding Supporting Actor in a Drama Series award at the 2012 Primetime Emmy Awards. He continued to appear in numerous films into the second decade of the twenty-first century, including Alex Cross (2012) starring Tyler Perry and The Jungle Book (2014). In 2016 Esposito made an appearance on the Netflix original series The Get Down, produced by rapper Nas. Esposito married Joy McManigal in 1995. The couple had four daughters, Ruby, Shayne, Syrlucia, and Kale, before divorcing. “Giancarlo Esposito,” Internet Movie Database, http://www.imdb.com/name/nm0002064/; “Giancarlo Esposito,” All Movie, http://www.allmovie.com/artist/p22133; “Giancarlo Esposito,” Encyclopedia, http://www.encyclopedia.com/people/literature-and-arts/film-and-television-biographies/giancarlo-esposito.